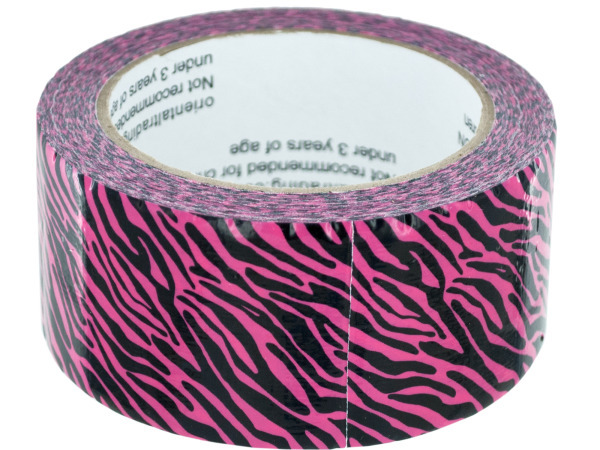 Great for packing, shipping and decorating, this Neon Pink Zebra Duct Tape features strong, durable plastic tape with a fun black and hot pink zebra print. Measures approximately 2" wide. For ages 3 and up. Comes shrink wrapped.